Does humankind's progress depend upon the even distribution of technology? Does humankind’s progress depend upon the even distribution of technology? 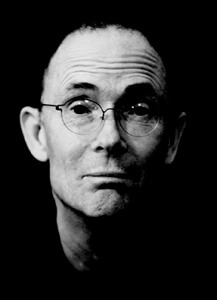 This quote, credited to sci-fi writer William Gibson, is popular among futurists and technologists because it dismantles the notion that certain technologies are out of reach. For example, the long-dreamed about flying cars exist today, as we covered yesterday, but few can access them due to economical, sociological, or educational constraints. That used to be the case with computers, then the costs dropped and everyone got them. We saw a similar trend with mobile phones, then smartphones and soon tablets. But does this widespread adoption actually result in real progress or a slew of consumer goods that offer economical benefit but little in terms of technological progress? Certainly iterative improvements have been made in the area of consumer electronics, but whether “quantum leap” advances have occurred is arguable. Or consider 3D printing: certainly getting additive manufacturing into more hands has greatly benefited the ecosystem, but even if everyone has a 3D printer in their homes within the next decade (which is doubtful), a Star Trek replicator isn’t likely to be a direct result of broader use but some separate path of innovation. So does technology really need to be evenly distributed for progress to be made?